In order to function effectively, a board requires a formal framework, including officers and rules for board meetings. Such a structure provides the board with an organized way to conduct its business. 1.1.1 Governing body – The library has a governing body which is constituted in accordance with the provisions of, and operates in conformity with, current Ontario public library legislation. 1.1.2 Officers – The board has appointed a Chair, Secretary, Treasurer and employs a Chief Executive Officer (CEO). 1.1.3 Meetings – The board conducts formally-scheduled, regular meetings at least ten times per year. 1.1.4 Record – The board keeps a written record of the proceedings of its meetings and ensures availability to the public. 1.1.6 Evaluation of CEO – A formal process is in place for reviewing the performance of the chief executive officer on a regular basis. Policy is the board’s most effective tool in ensuring continuity of governance and consistent library service. Policies help to define library programs, provide direction for future action, clarify what the board hopes to accomplish over time, and ensure that the library’s philosophy or mission is implemented. Policies should be in written form, approved at a formal board meeting and reviewed (and revised if necessary) at regular intervals. 1.2.1 Written Policy Process – Written policies area available to guide all areas of library operations and services and are approved by the board as required by legislation and governance policy. 1.2.2 Distribution – Up-to-date copies of board policies are available to all board members and employees. 1.2.3 Review – The board has a fixed date of review for all policies set within a four-year period for the purpose of reviewing and revising existing policies. Planning ensures that: the library responds to the legitimate needs of the community; continuity of service is maintained regardless of changes in personnel; the library is able to respond effectively to change; community funds are spent in an effective and responsible manner; and the library board and staff share a common understanding of what the library is trying to achieve. 1.3.5 Review of plans – The board has a fixed timeline or schedule in place for reviewing the library’s plans on a regular basis. 1.3.6 Report to public – The board regularly reports to the community on the library’s progress in fulfilling its plans. 1.3.7 Participation in local planning – The board participates proactively in local and/or county government planning processes. 1.3.8 Performance measurement indicators and statistics – Data is systematically gathered, electronically or otherwise, to provide real-time information about how well the library is meeting its mission, goals, and objectives. The board has a responsibility to secure sufficient funds to carry out its plans for library service. Accountable to the local council, the province and the community it represents, the board undertakes to ensure that the allotted funds are spent in a way that best meets the needs of the community and that is in accordance with the planned budget. 1.4.1 Budget – The board, in co-operation with the CEO, prepares and approves an annual operating budget for the library. 1.4.2 Financial records – The board ensures that accurate records of the library’s finances are maintained. 1.4.3 Financial reports – The board regularly receives and reviews written financial reports. 1.4.4 Financial reports to government – The board ensures that full and accurate financial and post project reports are submitted in a timely manner to applicable levels of government, or organizations acting on their behalf,for any project, strategic or capital funding received. 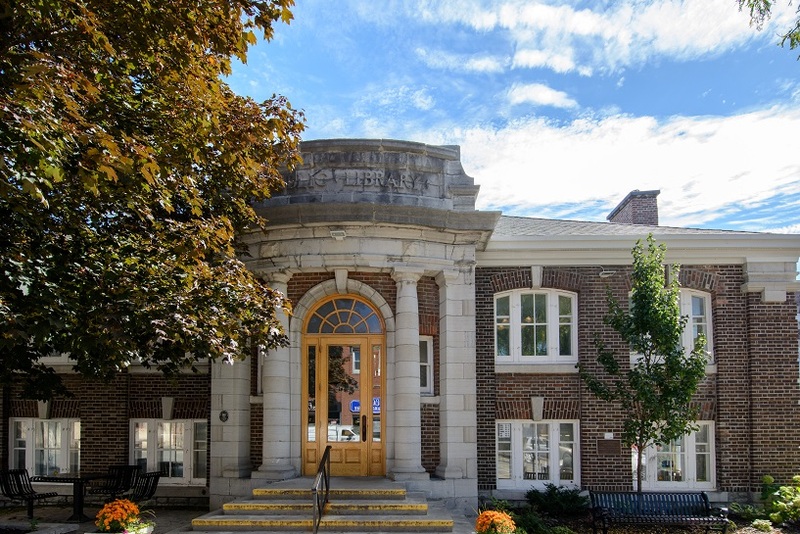 1.4.5 Annual Survey of Public Libraries and audited financial statement – The board ensures that the Annual Survey of Public Libraries and audited financial statement are completed and submitted in accordance with provincial government requirements. The library board must ensure that the community is aware of the importance of the library and that funding bodies fully understand the important role which the library plays in the community. 1.5.2 Informing council – Information about the library’s activities, accomplishments and needs is provided by the library to its local council on a regular basis. 1.5.3 Meetings with council – The board meets at least annually with its local council to review the library’s services, plans and achievements. 1.5.4 Participation in community activities – Board members participate regularly in activities aimed at increasing community awareness of the variety and importance of public library services. Formal orientation of new library board members to library services, policies and current issues will help them to participate fully and effectively in the work of the board. On-going provision of information is necessary to keep board members up-to-date and to maintain their effectiveness. 1.6.3 Current information – Board members are kept up-to-date on new developments in library matters. The library’s resources and services should be available to all members of the community as possible. Access to services should be structured in a way that maximizes accessibility and convenience to potential users, when they use the library’s physical outlet(s) and when they access the library remotely via the Internet. Public library service outlets should be located for maximum convenience of residents of the community. The outlet should be easily accessible by public transportation where available. 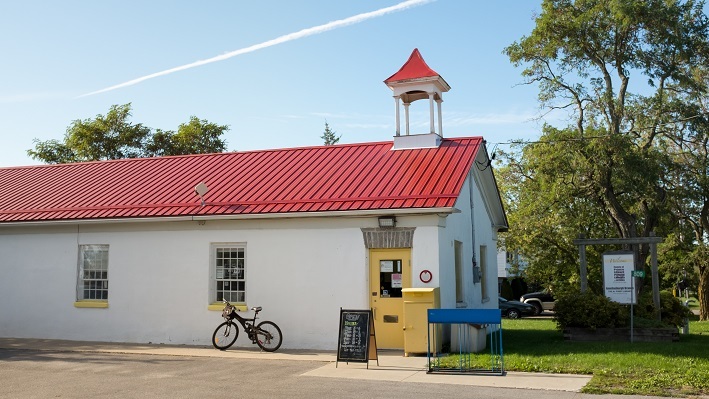 2.1.1 Distance – Persons in the community are required to travel less than forty-five (45) minutes to the nearest stationary, mobile, or multi-branch public library service outlet. In order to provide the best possible access to library service, open hours must be scheduled for the maximum convenience of residents of the community. 2.2.1 Public need – During the last three years the library has assessed how well its open hours match the needs of the community (e.g. the library is open evenings and weekends in addition to regular working hours). 2.2.2 Minimum hours – The library is open to the public at least 20 hours per week. The library should minimize barriers to access for users with physical limitations and disabilities. 2.3.2 Entrance – A library entrance is wheelchair accessible. 2.3.3 Aisles – Space between book stacks is sufficient for the passage of a wheelchair. 2.3.4 Clear access – Access to user areas and library materials is clear and unobstructed. 2.3.5 Washrooms – The library provides a washroom that is wheelchair accessible and equipped for users with physical disabilities. 2.3.6 Multiple-floor structures – Where the public area of the service outlet occupies more than one level, wheelchair access is provided between levels. 2.3.7 Alternative formats – The library ensures access to its services and resources for users with disabilities by providing materials in alternative formats. 2.3.8 Assistive technology – The library ensures access to its services and resources for users with disabilities by providing assistive technology. Parking should be adequate for current and projected use. 2.4.1 Adequate and convenient parking (including handicapped-accessible parking space) is available at or near the service outlet. Materials in open stacks should be stored at heights appropriate to their primary users. 2.5.1 Maximum height, adult – The majority of materials in the adult collection are stored in such a way that the highest shelf is 60 inches or less. 2.5.2 Maximum height, child – The majority of materials in the children’s collection are stored in such a way that the highest shelf is 48 inches or less. The delivery of library service is enhanced when community residents are able to request information about the library and request certain services from their home or work place. The quality of service is enhanced when the library maintains links with the library world beyond the local community. 2.6.1 Telephone – Each branch has at least one telephone line with a number listed under the branch’s name. 2.6.2 Fax – The library is equipped to send and receive tele-facsimiles. 2.6.3 E-mail – The library is equipped to send and receive e-mail messages. The library should make special provision for members of the community who need or desire public library service but who are unable to travel to the library building. 2.7.1 The library provides library materials on an organized and regular basis to residents of the community who are unable to travel to the library. The library’s exterior signage both identifies the particular function of the building and is the library’s most basic form of publicity. 2.8.1 Visibility – Library buildings are clearly identified by exterior signs which are highly visible from the street and in the appropriate language(s). 2.8.2 Hours – Library hours are clearly visible from the exterior of the service outlet. 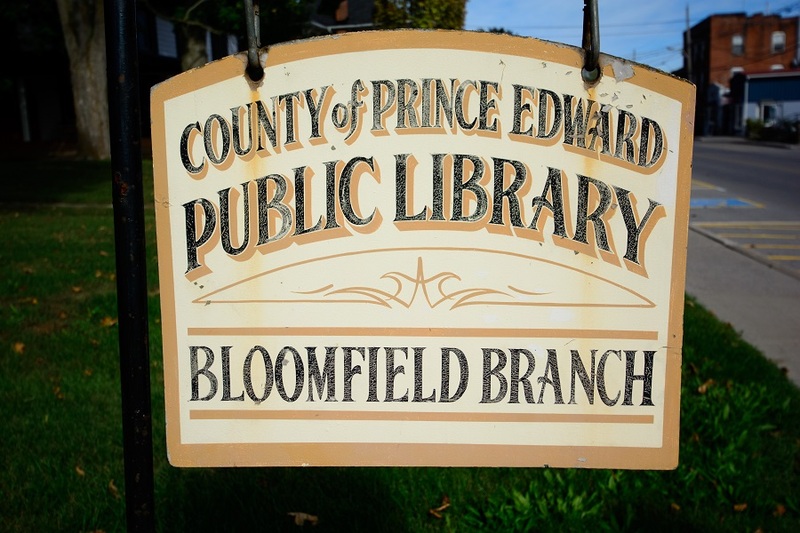 2.8.3 Directional signs – The library provides signage indicating the presence and location of the public library in the community. How well the library is laid-out will affect how efficiently and conveniently it can be used by public and staff. The layout also communicates a message about how professional and well-organized the library operation is as a whole. 2.9.1 Physical layout – The physical layout of the library is organized in a way that is systematic, easy to navigate, and convenient for users. 2.9.2 Interior signage – Areas of the library, specific services and parts of the collection are clearly identified by professional-looking signs, in language(s) used by major linguistic groups in the community. It is important that the community be aware of the many programs and services available from its library. 2.10.1 Information about library programs, services, rules and hours is made easily available to community residents, in the appropriate language(s). In the interests of providing the best service possible to its community, the library board and administration should strive to maintain staff who is well trained and technologically literate to meet library needs, highly motivated and sufficient in number to meet the demands of the community. 3.1.2 Distribution of policy – Every employee of the library has access to a copy of the personnel policy. 3.1.3 Performance evaluation – Performance evaluation is a formal opportunity for all employees and his or her supervisor to review and evaluate the employee’s work performance. It provides an opportunity for frank discussion by both parties concerning job expectations. A formal, written, performance evaluation of each employee is carried out on a regular and ongoing basis. 3.1.4 Job descriptions – Job descriptions are based upon an analysis of the tasks that must be performed in order to deliver library services. Library services change in response to community needs, therefore job descriptions should be reviewed annually and updated as required. A written job description has been developed for each position and is reviewed at least once every year (e.g. as part of the performance evaluation process). 3.1.5 Salary scales – A salary scale has been established for each position and is reviewed regularly according to the terms of the library’s personnel policies. 3.1.6 Staffing – The number of staff required by a library is affected by many local factors, including the number of clients to be served, the number of major language groups to be served, the layout of the library building, and the level of library activity in the community. A number of formulas are available for helping to determine a library’s staff requirements. a) The library has in place a process for regularly assessing the number of staff required to meet community needs (as determined, for example, by such circumstances as level of activity, number of users, and total hours open). Where the existing number of staff has been determined to be inadequate, the library has a plan in place to improve the situation. b) To meet the administrative, technological, and service management requirements of the library, the library board employs one or more permanent paid staff. c) To meet administrative, management and service preparation duties, staff are provided with paid time outside of hours devoted to working with the public. 3.1.7 Level of training of CEO – Few decisions that a library board makes are more important than selecting the right person to manage the library operations and staff. A CEO who possesses formal library education, appropriate skills and expertise is key to the board achieving its goals and fulfilling its plans. The level of training appropriate for a CEO is related to the library service needs of the particular community and to the degree of complexity of the local library operation. The board of small libraries might find the EXCEL certificate to be an appropriate level of library training for the CEO, while a higher level of library training may be more appropriate for larger more complex libraries. If it is the case that the person who has primary responsibility for managing the library’s operations and staff is other than the CEO of the board, but reports to a CEO, the Guideline 3.1.7 may apply to that person rather than to the CEO. The CEO has completed formal library education which is appropriate both to the needs of the community and to the complexity of the library operation. 3.1.8 Continuing education and training – The library encourages continuing education and training for its staff and makes provision for this in its policy, its long-range plan, and in its budget to an amount not less than 1% of its total wages and benefits (e.g. by providing financial support for staff to enroll in the EXCEL programs, or to attend library conferences and other training programs and events, either in person or through e-learning technologies). Studying the community’s demographic and economic situation, identifying what parts of the community are growing, what activities are most popular, what interests exist, what businesses are present, etc. provide the library with essential information in determining priorities for library service. Overall library priorities are translated into priorities for physical and electronic collection development. 3.2.1 Content and size of collection – The library has a process in place for regularly assessing the content and size of the collection required to meet community needs. (Materials may be owned by the individual library or shared with a group of libraries in a materials pool.) Where the existing content and/or size of the collection have been determined to be inadequate, the library has a plan in place to improve the situation. 3.2.6 Languages – The library offers materials in a suitable variety of languages reflecting the community’s needs. 3.2.9 Collection use – The degree to which a library’s collection successfully meets the needs of the local community is reflected in the use of the collection. The library has in place methods that accurately measure collection use, methods that keep track of the number of items borrowed or accessed/downloaded by users (i.e. circulations) and of the number of items used on library premises (i.e. in-library uses) and incorporates this information into its planning process. A measure that is frequently used to compare the effectiveness of library collections is the number of circulations per capita of the community served. 3.2.10 Inventory – An inventory of the library’s collection, ensuring that the catalogue accurately reflects the contents of the collection, is carried out on a regular basis and is completed at least once every five years. 3.2.11 Labeling – Items in the collection are labeled in a way that is consistent and facilitates ease of access by the public and staff (e.g. with labeling that indicates: the location of the item on the shelf, including classification code; target audience – adult, young adult, juvenile, prereader; in the case of fiction, genre; format – large print; and language). 3.2.12 Arrangement – Items in the physical collection are arranged in a logical and well ordered sequence, allowing for convenient browsing and quick retrieval by the public and staff. The library board should strive to provide a physical setting for library service that is inviting to the public and that provides adequate space to store and display the library’s physical collection, adequate space for the library staff to carry out their duties in an efficient and comfortable setting, and adequate space for the public to make proper and convenient use of the library’s equipment, resources and services. Library facilities should have a technology infrastructure that enables staff to carry out their duties efficiently and enables library users to access the library’s technology-based services and collections with ease. 3.3.1 Space – The amount of space required by a public library depends on the unique needs of the individual community. A number of methods are available to assist libraries in determining their space requirements. The library has undertaken a planning process which has examined the library’s space requirements in light of local needs. Where the existing space has been determined to be inadequate, the library has a plan in place to improve the situation. 3.3.2 Areas of the library – Distinct areas of the library are designated for various services and functions (e.g. adult services, children’s services, library staff work and rest, storage, etc.). Where areas are designated for specific user groups, equipment and infrastructure compatibilities are taken into account (e.g. internet access, computer stations). 3.3.3 Public use areas – As determined by local needs, the library space is arranged to provide room for activities such as: study informal reading public use of library equipment use of personal equipment by the public community and cultural activities. 3.3.4 Temperature – The library provides temperature control for the comfort of the public and staff and for the protection of assets. 3.3.5 Interior lighting – Lighting levels are adequate in all areas (e.g. in book stack areas, general reading and staff areas, computer stations, reading tables and carrels). 3.3.6 Environmental Awareness – Wherever possible, the library adopts practices (e.g. recycling, using both sides of paper, refilling ink cartridges etc.) that adhere to sustainable guidelines. 3.3.7 Shelving capacity – The amount of shelving is sufficient to store and display most materials without overcrowding. 3.3.8 Public washrooms – Conveniently located washrooms are provided for public use. 3.3.9 User Space (Seating) – Provision must be made for the use of library services and materials by the public on library premises. The library provides adequate seating for leisure reading, as well as table space and/or carrels for study purposes and consultation of library materials. 3.3.10 Furniture – The library provides furniture that is appropriate for the target user (e.g. child sized tables and chairs are provided in the children’s area). 3.3.11 Return of materials – Provision has been made for the return of library materials when the library is closed. The library board is responsible for providing a safe and secure environment for library staff as they carry out their duties and for members of the public who use the library. 3.4.3 Emergency equipment & facilities- The library provides emergency equipment appropriate for the size of the library (e.g. smoke and fire alarms; emergency lighting; as well as evacuation routes; fire extinguishers; emergency first aid supplies). 3.4.4 Supervision – All areas of the library open to the public are supervised by library staff, with clear lines of sight or video supervision of staff work areas and public areas. 3.4.6 Exterior lighting – The library entrance, staff entrance, and parking area are clearly illuminated at night. The library board is responsible for safeguarding any personal information that it collects and uses pertaining to both the library staff and members of the public who use the library. Each library system must determine the service level, which is the nature of the service, which will be offered to the public, whether the library has one branch or 33. Where there are several branch libraries, the hours and services offered in each of these branch libraries should be based on the needs and characteristics of the local community it is meant to serve. Public libraries are by tradition lending institutions. That is, library members are encouraged to borrow materials and are given responsibility for the care of those materials for a set period of time, after which the materials must be returned to be made available to other users. In order that access to materials for loan is convenient and fair for all users, and to control the flow of physical materials in and out of the library, a well thought-out and organized process must be in place. 4.2.1 Lending collection – The library makes available to the public a physical collection of books and other library materials which may be borrowed by registered members for a specified period of time. 4.2.2 Online collection – The library makes available to the public an online collection of books and other materials which may be borrowed/downloaded by registered members for a specified period of time. Reference and information service involves a process by which trained library staff endeavor to satisfy the information needs of library users by accurately identifying the information required and then either guiding the user to the most appropriate information source or providing the information itself. 4.3.1 Reference and information service – The library has in place trained staff (a record of previous training will be consulted) to provide answers to queries and requests for information posed by library users. 4.3.3 Reference resources – The library provides vetted and authoritative materials dedicated to information retrieval by library users and staff in the appropriate language(s). These materials can be in physical and/or electronic format. 4.3.4 Remote requests – The library accepts requests for information by telephone and fax, and by online, chat, email and other electronic means. 4.3.5 Monitoring of service – The library has in place a process for the regular recording and measuring the number and types of requests for information that are made (in person, by telephone and fax, and by online, email and other electronic means) as well as which requests have or have not been answered satisfactorily. This information is incorporated into the library’s planning process. Readers’ advisory service is the process of matching users with materials, and materials with users. It answers questions that have more to do with users’ leisure needs than with their information needs. 4.4.1 Guidance and assistance – The library staff provides guidance and assistance to library users as to which library materials will most suit their needs (e.g. by identifying the author of books featuring a certain character; determining the order of a series; directing library users to materials about a certain time period or in a particular genre, or to biographies about a certain person), or to the availability of accessible materials or appropriate support for same, when available. Children’s service involve services to library users who are infants, pre-schoolers and school aged children up to about grade six or seven. Children require services that are designed especially for them because of their different levels of intellectual, emotional and physical development. 4.5.2 Children’s collection – The library provides a collection of library materials which is designated primarily for use by children or their caregivers. 4.5.3 Reference and readers’ advisory service – Library staff working with children provide reference and readers’ advisory services appropriate to the age levels of these users. 4.5.4 Early Literacy – The library has collections and programs to support the development of early literacy. Young adult services involve library users ranging in age from twelve to eighteen years. Young adults require library services that will assist them in their transition from childhood to adulthood. 4.6.3 Reference and Readers’ advisory service – Library staff working with young adults provide reference and readers’ advisory services appropriate to the various age levels of these users. Given the growing diversity in the demographic makeup of many Ontario communities, public libraries should plan to develop resources and implement programs to meet the unique library needs of local linguistic, cultural and newcomer groups. 4.7.1 Community need – The library has determined what needs exist for the provision of library services to linguistic and cultural groups and people (e.g. francophone and First Nation citizens, and newcomers). 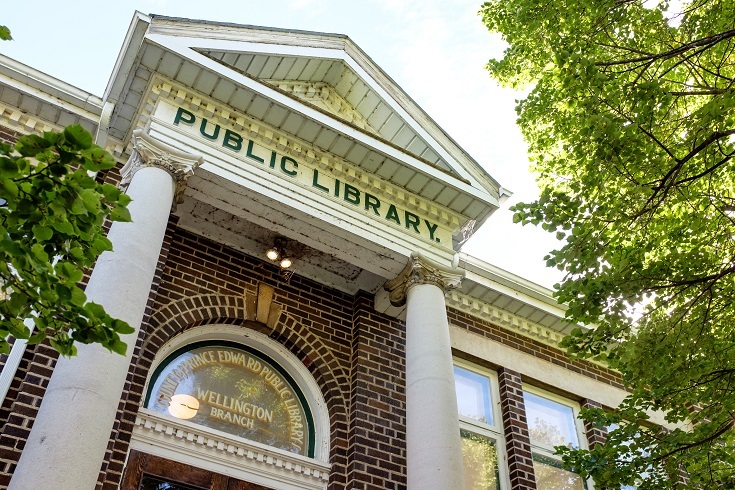 Where there is a demonstrated need, the library board has established and adopted policy governing the provision of services to these groups and offers services as appropriate, either on its own or in conjunction with other local organizations. 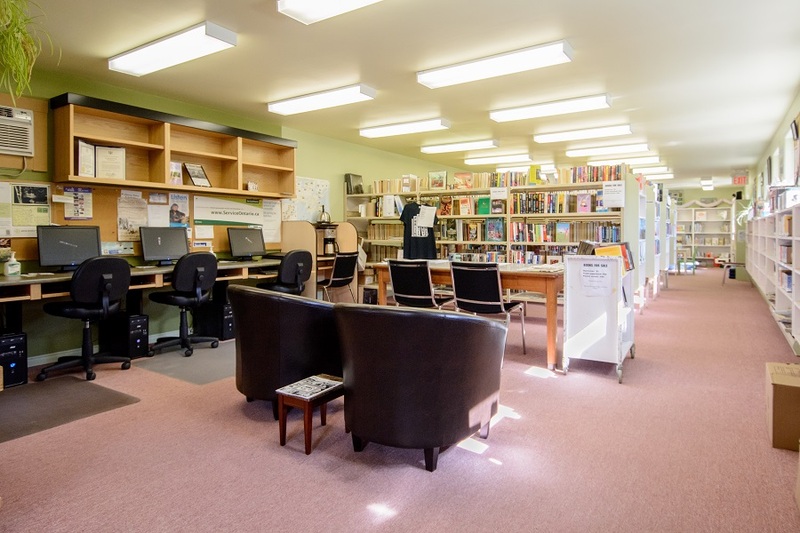 4.7.2 Collections – Where appropriate, the library provides a collection of library materials which is designated primarily for use by linguistic, cultural and newcomer groups within the community. 4.7.3 Reference and readers’ advisory service – Library staff working with linguistic, cultural and newcomer groups within the community provide reference and readers’ advisory services appropriate to these users. Programming refers to recreational, educational or cultural group events or activities provided by the library. Programs may be aimed at children, young adults, adults, seniors, or a combination of age groups. They can take place in the library, and/or in the community, and/or online. They can be on-going, in a series, or one-time events. Programs are used to provide information, increase awareness and promote use of the library’s services. 4.8.1 Community need – The library has determined what community needs exist for what types of programs, in what format (on site, in the community, and/or online) and for which age levels. (For example, programming is an integral part of most children’s services and is used to promote lifelong use of libraries, to stimulate a love of literature and reading, and to impart important information and skills.). 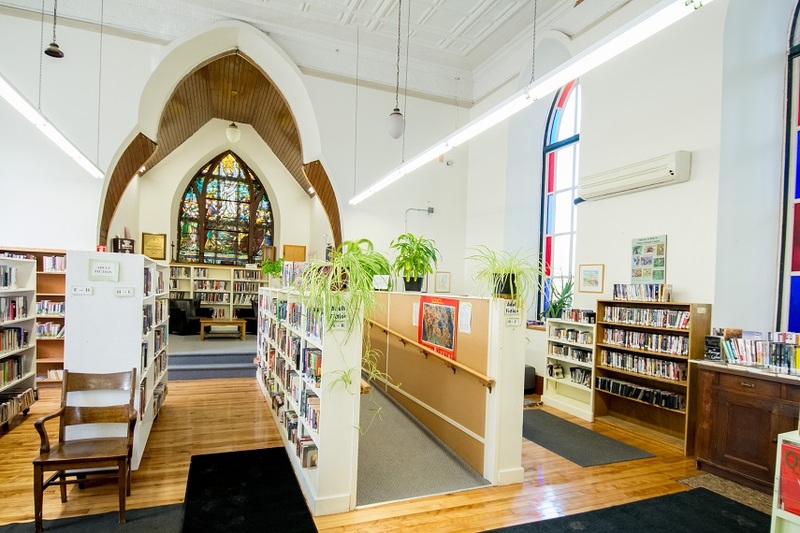 Where there is a demonstrated need, the library offers programs to the community as appropriate, either alone or in conjunction with other local organizations (e.g. story hour for pre-school children; reading clubs; social networking activities, lectures; demonstrations; author readings). 4.8.3 Formal process – The library follows a formal process for planning, preparing and evaluating library programs. Attendance statistics are recorded, along with the number and types of programs provided. (e.g. literacy programs, computer training programs, children’s programs, young adult programs, etc.). The public library may have an important role to play as a source of general information about community organizations and events. Every community has a responsibility to collect and preserve materials which have a special relevance to its unique history. The public library may have an important role to play in making this information available to the community. 4.10.2 Digitization – The library has established and adopted policy and procedures which address digital local history needs. If such need is identified, the library has implemented standardized processes and practices to electronically preserve, access, share and retain copies of digitized local history materials. If there is another organization in the community currently completing this work it is not required for libraries to duplicate this work. Providing space on library premises for public meetings and gatherings is a form of service offered by many libraries. As each library collection is unique, and as no single collection can satisfy all the needs of all its users, public libraries can greatly enhance their service by sharing materials. The act of sharing advances the principle of equity of access by mitigating regional disparities in library service. 5.1.2 Participation in INFO – The library has made all or part of its collection available for loan to other libraries through participation in the Information Network for Ontario (INFO). The library may also participate in a local network of information providers (e.g. including local schools, colleges and universities). The benefits of co-operation with other organizations include less duplication of service, a combining of resources for maximum effect, and an overall improvement in community services. Volunteers may in some cases be of great assistance in helping the library carry out special tasks or projects (e.g. fundraising). 5.2.1 Community Partnerships – The library has established partnerships with other organizations in the community in order to coordinate resources and actions, thereby jointly improving service to the community. 5.2.2 Broad-based Partnerships – To strengthen and enhance service to its users, the library participates with organizations beyond its own community; for example, by being an active member in regional, co-operative organizations (e.g. the Federation of Ontario Public Libraries, the Ontario Library Consortium, the Information Network for Ontario), by taking advantage of provincial and federal funding programs and opportunities, and by participating in Ontario Library Service and Ontario Library Association committees. Use of technology Public libraries need technology infrastructure and equipment suitable to the various tasks they perform, whether the task is to provide a direct service to the community (such as access to the library’s collections or to resources available on the Internet), or to support the core functions of the library such as maintaining the collections, checking loans in and out, and communicating with users, colleagues and suppliers. 6.1 Technology policy, planning and administration Managing technology and its uses within the public library is complex, and affects the entire organization. Many aspects of technology use are governed by legislation, codes of practice, and local policy decisions. It is therefore essential that the library has a clear policy framework governing technology and its use. Throughout this portion of the guidelines, the library board and public library will demonstrate written policy and procedures which address various aspects of technology use within the public library. 6.2 Communication and Computer Networks Public services can only be efficiently provided if they are integrated with electronic communication networks such as phone, email, the Internet, and other networks. 6.2.1 Telephone – The library has at least one line dedicated to telephone use, with a number listed under the library’s name. 6.2.2 Internet connectivity – The library is connected to the Internet with a minimum bandwidth of 1Mbps download speed. If this is not available, the library is connected to the Internet with the best speed/bandwidth available in the community. 6.2.3 Internet public access – The library provides free use of the Internet for access to: the library’s catalogue and membership services; its electronic collections and services; for sending and receiving communications through such means as email or social networking sites. 6.2.4 User authentication – The library provides convenient access to resources that are restricted to library members only, such as electronic collections or subscription databases. User authentication software minimizes how often the end-user has to enter membership or other authentication data. 6.2.5 Local Area Networks (LANs) – The library has a LAN linking equipment and functions appropriately (e.g. a LAN that links public access computers to a printer, or that enables several computers to access network-based software). 6.2.6 E-mail – Staff have access to a library (or municipal) e-mail system for the purposes of sending and receiving work-related emails, responding to information requests and enquiries, or other communication needs. 6.3.1 Inventory – The library has an up-to-date inventory of its technology equipment and software licences, and has a schedule for inventory-taking and updating, at minimum once a year. 6.3.2 Wireless networks –The library has installed wireless networks for public and staff access. 6.3.3 New Trends and Emerging Technology – The library demonstrates an interest in new trends and emerging technology through research, studies or the application of emerging technologies in their programming, services or staff training. These interests reflect current trends or practices in the realm of library 2.0/3.0 or Internet Technology. 6.4 Library software Library software, such as an integrated library system, enables a library efficiently to carry out essential and often complex processes related to administering resources and making them available to the public. 6.4.1 Integrated library system (ILS) The library either operates or is a participant in an ILS which has, as a minimum, cataloguing and circulation functions and a web-based catalogue. Members can check their membership record, renew loans, and reserve materials either at the library or on the web version of the ILS. 6.4.2 ILS Records – The library has in place procedures and schedules for purging outdated records such as missing materials, and members who have been inactive for two years or more. (An ‘active’ member is one who has used his or her borrower’s identification to borrow an item from the library’s collection or to access a library service, including an online service provided by or through the library.) 6.4.3 Software applications for public service functions – The library has an important role in the community providing public access to computers, and as such may provide facilities for word-processing and other community use of computers, as well as access to core library services (e.g. catalogue, Internet access). The library has office applications and other relevant software applications available for public access. 6.4.4 Training of users – The library ensures that users have access to training in the basic use of the computers in the library, how to use the public online catalogue and member services, and how to make effective use of web sites and electronic information resources available on the library’s computers. 6.4.5 Office software applications for staff use – The library has office or web applications for staff use such as e-mail, word-processing and spreadsheets. It may have additional applications that contribute to the library’s administrative efficiency e.g. financial software, desktop publishing software, training software. 6.5 Library websites and web-based services The World Wide Web is an essential channel through which an organization delivers services, publicizes its presence, and interacts with its community. A dynamic, well-planned and up-to-date web presence extends the library’s reach in the community, offers additional services, and may be the primary form of access to the library for people with restricted mobility. 6.6.1 Staff training in technology use – Library staff receive training in how to use library equipment and software applications to carry out their responsibilities efficiently. They are trained to assist the public in how to use equipment and applications intended for public use, as established in library policy. They receive training in basic computer troubleshooting, and procedures for assessing and reporting technology problems. Staff receive training in implementing technology policies and related procedures (e.g. privacy and access to information; business continuity). 6.6.2 Technology expertise – The library has access to skills which support planning, purchasing, configuring and upgrading technology. (E.g. advice from municipal IT department or purchasing department; OLS input). 6.6.3 Technical support – computer equipment, software and networks are complex, and skilled technicians are required to install them, maintain their performance, and repair faults in a timely fashion. The library has access to staff that can provide skilled technical support for installing, maintaining and repairing library technology. The library has identified its requirements for technical support in terms of skill levels, knowledge of library technology, availability of support and response times. If the library’s technical support doesn’t meet its identified requirements at present, the library has an agreed plan for achieving them. Library Board Minutes January 28, 2018. Library Board Minutes February 28, 2018. Library Board Minutes March 28, 2018. Library Board Minutes April 25, 2018. Library Board Minutes May 23, 2018. Library Board Minutes June 27, 2018. Library Board Minutes September 28, 2018. Library Board Minutes October 24, 2018. Library Board Minutes November 28, 2018. Library Board Minutes January 30, 2019. Finance Committee Minutes March 28, 2018. Finance Committee Minutes November 28, 2018. Governance Committee Minutes February 21 2018. Governance Committee Minutes April 18 2018. Operations Excellence Committee Minutes May 11, 2017.